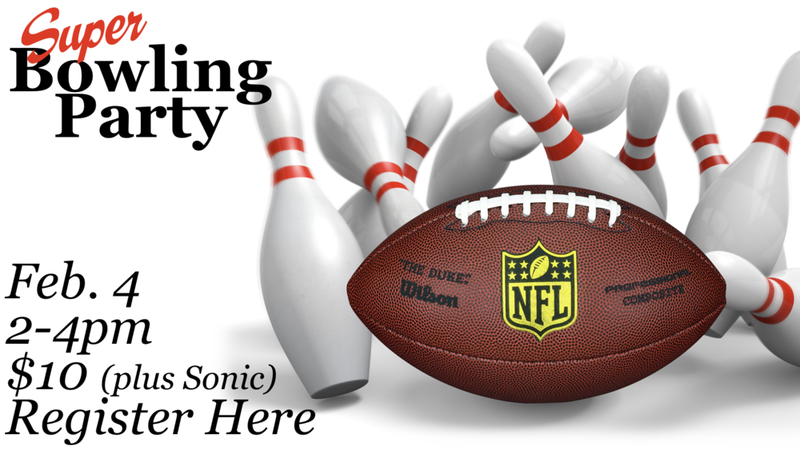 Super Bowling Party on Sunday, February 4 from 2:00 - 4:00 p.m. Cost is $10 for bowling. Bring money for Sonic after bowling. Drop off students by 2:00 p.m. at Oak Mountain Lanes (300 Bowling Ln, Pelham, AL 35124). Pick up by 4:00 p.m at Sonic (2226 Pelham Pkwy, Pelham, AL 35124). Please register below for this event.